Sep Visser is Going Dutch! Sep Visser is a Dutch international. He’s been a professional in England and Scotland, he’s the brother of Scotland international Tim and best mate of Dutch international goalkeeper Tim Krul. He’s loves playing rugby and scoring tries! Where are you playing now? I have been playing for my old club (Rugby Club Hilversum) now for the last two seasons, we finished top in the league and the number one and two play against each other in the League final. The final was Saturday 20th May and we beat our local rivals 34-15. The 19th title for RCH and the 3rd title in 3 years. Ereklasse Highlights and a Sep Hat Trick!!! What challenges does rugby face in the Netherlands? There are a lot of challenges in Dutch Rugby that we are facing at the moment. In my opinion one of the main challenges is the standard of the main league (Ereklasse). The numbers 1 and 2 have been dominant all season however there is a big gap between the top 2 teams and the teams below. Ideally, we would like a competition where 4 or 6 teams are all competing for the title, this would allow the Dutch talent to play at a higher standard. How are you using your experience to help rugby develop? I am doing a lot of individual sessions with both players at my club and age grade players, this is so I can do individual skills with them. I am also involved in the leadership groups for the National side and my club side. This so that I can share my knowledge and give my own input. 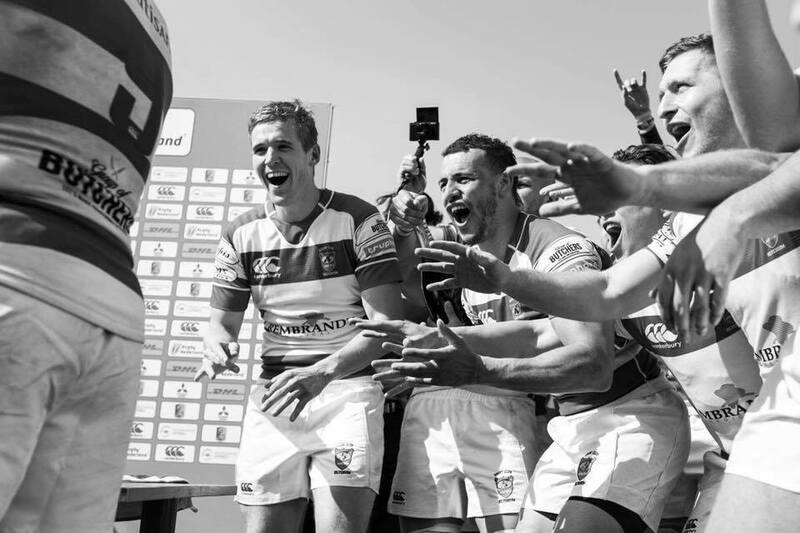 What does the future hold for rugby in the Netherlands? There are very exciting times ahead for Dutch Rugby. Our senior side finished second this year with Portugal finishing first in our group. Our aim is to get promoted not next year but the year after. This means that we will be in the group with teams such as Georgia, Romania and Germany. Our aim is to qualify for the rugby world cup in 2023. We are currently in 30th in the world rankings. What are you best memories of playing in the UK? 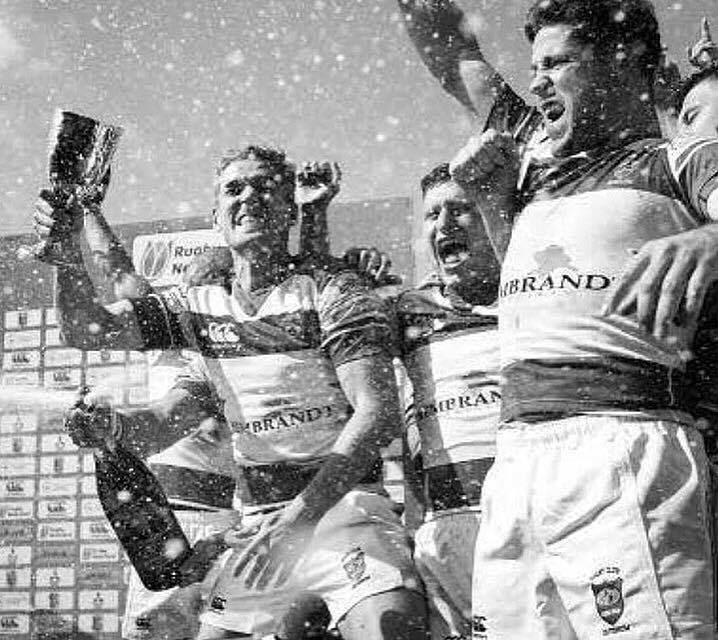 One of my favourite memories was representing the Barbarians in 2013. 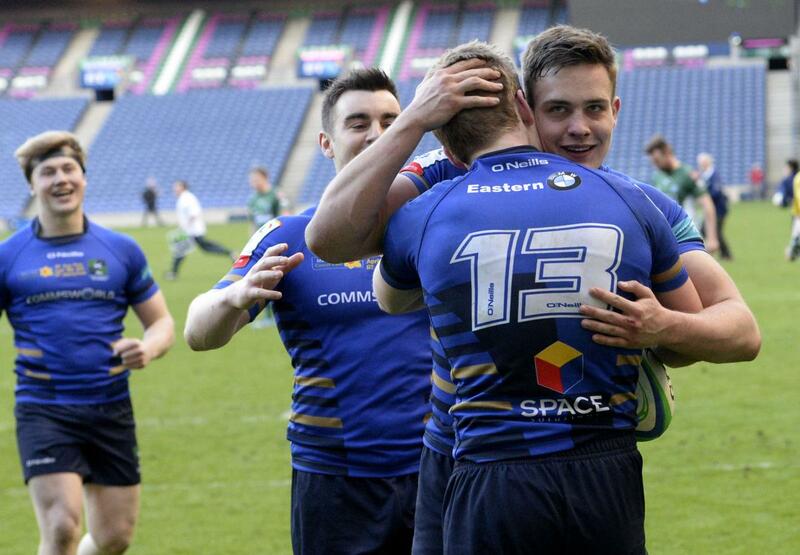 Making my debut against Munster for Edinburgh and winning the BT CUP at Murrayfield with Boroughmuir in 2015. It has probably been my family, my dad is the reason why we (Sep & his brother) started playing rugby and my brother has always taught me a lot, and he still is! He has been worked with RCH for the 2 weeks building up to the final, which was very helpful! How did you enjoy playing with your brother? Have you ever played against him? Unfortunately, never played against him, of course I have been up against him during training at Edinburgh though, which was tricky ha-ha! I always really enjoyed playing with Tim. He has been a professional for so many years which makes it easy to play with him. In my opinion, his communication and the things he says during but also before a game make the difference. Newcastle Falcons v Worcester Warriors. Final. 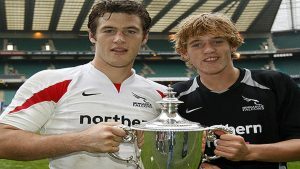 (lt to rt) Brothers, Falcons’ Tim Visser and Sep Visser celebrate with the trophy. This was by Tim as well; Focus on the process, not the outcome. What does your friend Tim Krul think of rugby? Ha-ha, he loves it! He also loves watching it. He has been on loan at a club in Holland and he has come to several games in the last 6 months! What are your plans when you finish playing? 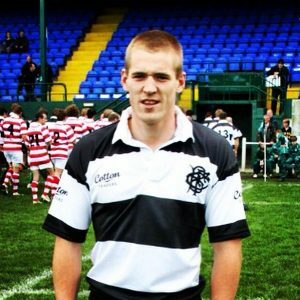 I would like to be involved in Rugby after finishing playing however I don’t think I am going to be a coach. I would love to be involved off the pitch as a board member in a role where I can maybe focus a bit more on recruiting players and developing youth. Who knows! 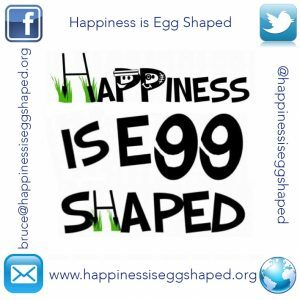 Is your Happiness Egg Shaped? We would like to wish Sep all the very best for the future, we have no doubt he will continue to make a significant contribution to rugby in the Netherlands.